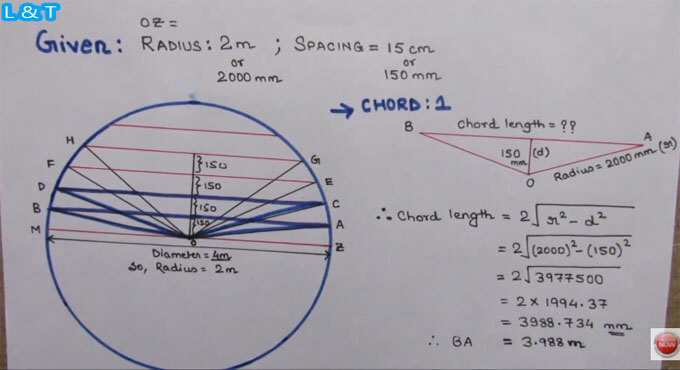 In this construction video tutorial, one can learn how to work out the lengths of chords which are associated with a circle. The chords are drawn after the diameter at a spacing of 15 cm or 150 mm i.e spacing between each chord. Now, it is required to find out the length of the each chord. To find out the length, various formulas are used in this video. One can also find out the length easily with the use of Autocad. To learn the detail process, watch the following video.